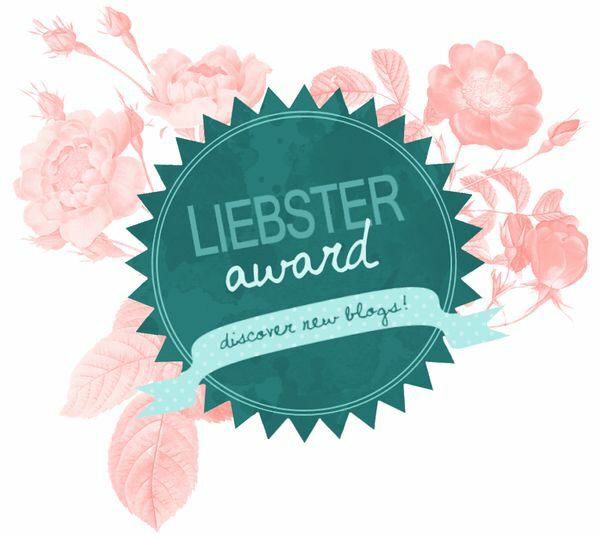 So after getting over the shock that someone noticed my blog enough to actually put my name on the list for a Liebster Blogger Award, I admit I was pretty pleased. A big thank you to Dyanne over at Her Other Lovely Sides for the nomination. I enjoy her blog because, like me, she sets out to be true to who she really is in whatever form that takes – to be real. 1.Thank the person who nominated you and provide a link to their page. I have to admit, it seemed like a bit of work to get this post done, but working through it and reading the other nominees posts etc, it’s actually been a really enjoyable thing to do! I don’t have a middle name – my first name is Abbie-Jayne, nothing in between that and my surname. I’m terrible at sports – one year at high school the teacher created a social netball team just so I could play! I’m tall for a girl (178cm / 5ft10in) and still love to wear heels. Lucky my husband is 6ft2in! I love to walk, happy to walk for hours, and I walk fast. My favourite novels are The Power of One by Bryce Courtenay, Pillars of the Earth by Ken Follett and a collection of books I read as a girl: The Little Princess, Heidi, What Katy Did, Pippi Longstocking, and Anne of Green Gables. I didn’t learn to drive until i was 29 years old. I have traveled a lot in NZ, Australia, England/Scotland but would love to see more of the world and I’m quite sure one day I will. I LOVE hokey pokey ice cream and could devour an entire 2L container in one sitting – same with Milky Bar chocolate, just say goodbye to the king size block! I’m a naturally untidy person but actually like things to be REALLY clean and tidy. I tend to overcompensate for my natural tendencies by being a bit of a clean nut at home. I gave my life to God when I was seven years old. I kind of ditched Him along the way but reconnected in my twenties and will never turn back. I don’t believe in religion, I do believe in faith (and will post about this some day soon). I cry watching reality TV (yeah I know!). Hawke’s Bay – see above. I once said to my husband ‘I just fit my skin better when I’m there’. The state of the world. Wars, planes falling out of the sky, poverty in all nations, extreme wealth in many nations. I often turn the evening news off – it’s so sad. Yes and no. My expectations for myself are probably the highest anyway! Yes – we choose to be happy, or not, in any circumstance, I’m all for the positive. I’m a mum, I’d lay down my life. Read on screen or old school book? You have a night in, what’s the best way to spend it? Favourite book (sorry, two book questions already, can’t help myself!)? Favourite place in the world – that you’ve been to? The place you would most like to go? Bungee jump or skydive (I haven’t done either but would probably skydive)? What’s the best part of blogging for you? Most played song over the last month? Favourite smell (for me, fresh cut grass, home baking, the beach)? Best tip for other new bloggers? Ok so this is actually quite hard. I’m not sure what the criteria is for nominating someone so I’m just going to go with 11 of my favourite blogs – I’ll tell you why below. Sorry if anyone is offended, if you don’t do awards, or I’ve done this wrong! Scattered, Smothered and Covered -Someone who will put it all out there and isn’t afraid to take on the big stuff. Amanda Grace – a kindred spirit on a journey to find herself, Amanda is an amazing artist as well as writer. Journey of Kylie – Kylie is a great writer who shares her experiences with many things but her journeys with spirituality and bipolar disorder have pulled me in and I’m a close follower of her blog. Living Loving Laughing – a mum, a step mum a photographer on her journey. A ‘real’ blog (as you have probably worked out, I love it when people are authentic, true to themselves, in other words: REAL). Life Being Girly – it is quite possible this is the mostly cheerfully girly place in the land of blog! LauGraEva – in her words “silly stories, ludicrous lists, comical considerations” – a great sense of humour! My Eclectic Existence – a beautiful inside and out I believe. I’m looking forward to the link to her book. Erik Conover – this is what Erik’s ‘about’ page says and I truly believe he lives this. “Smile more. Worry less. Live your passion”. I’m glad he stumbled across my blog so that I could in turn start to follow his. The Blended Life – I’m a new follower of this blog, one for the bledned family perspective on life.